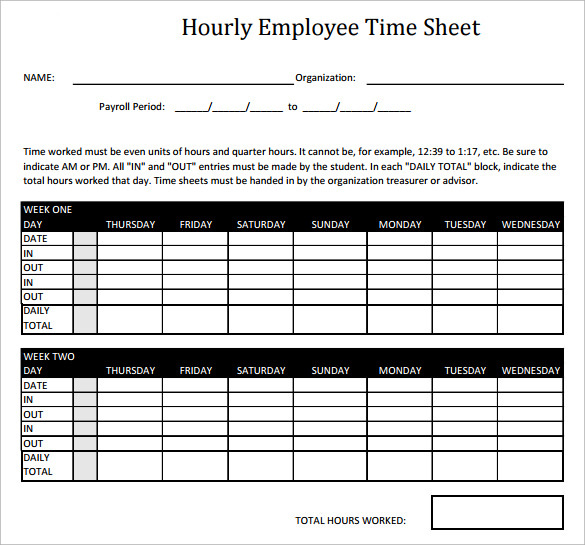 An hourly timesheet calculator plays an important role in an organization to help the accounting department to calculate the total hours of work put in by an employee. The calculator actually makes the whole process easier. However, designing the calculating format is easier said than done. It is actually quite time-consuming and even confusing at times. A slight error can cause serious calculation discrepancies which is definitely not a great idea. 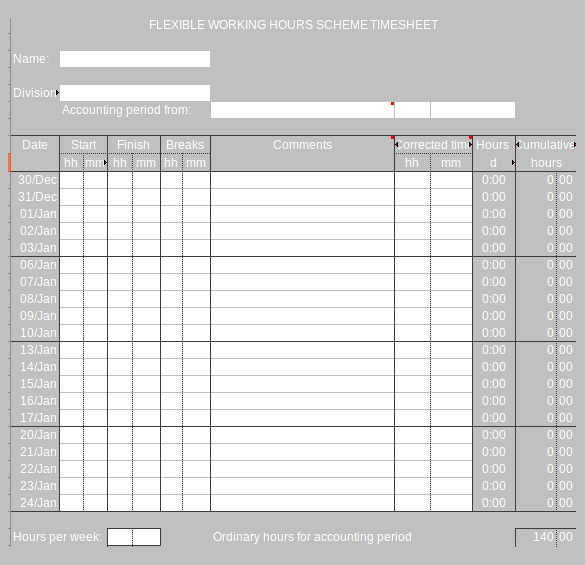 So, how do you design a perfect hourly timesheet calculator? 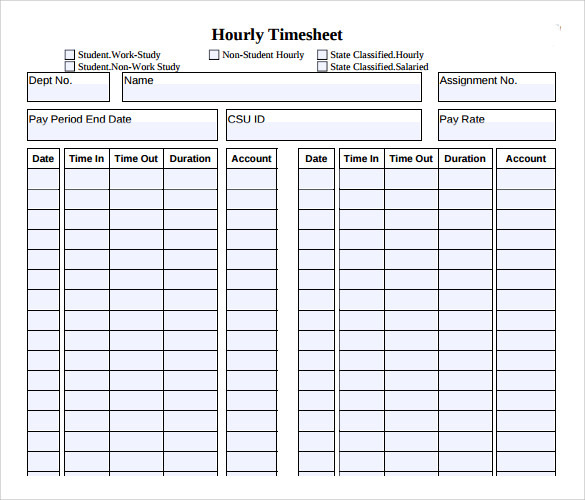 Just use the hourly timesheet calculator template. This is readily available and can be customized as per your company rules and requirements. 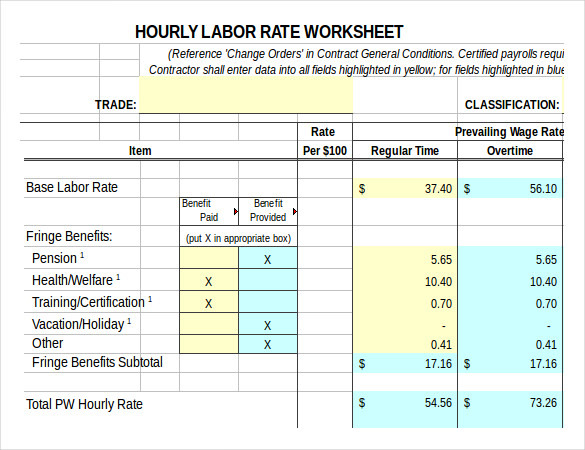 You may also like Work Timesheet Calculators. If your company expects the employees to clock in and out to ensure that they put in the required hour of work every day, an employee hourly timesheet is the best way to keep an eye on this. 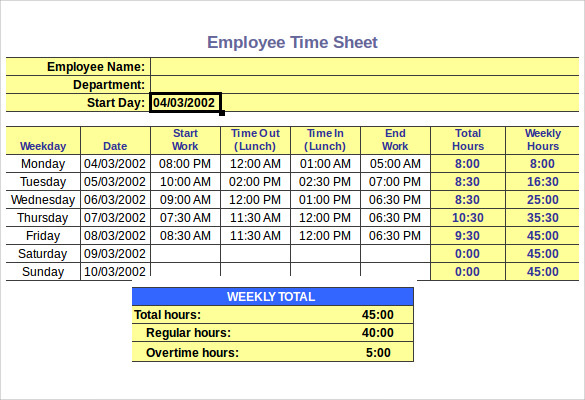 However, if you are not sure how to design this timesheet calculator, go ahead and download the employee hourly timesheet calculator template. You can customize this and make changes to the design as per your requirement and then add in the details. Keeping all the details in a tabular form makes it easier to decipher the information even when you are in a hurry. Using an hourly timesheet calculator template in Excel can help you do this. Being designed to be used in Excel, you can even make use of functions and other options to ease up the calculation work. If you are a startup and cannot afford to buy a timesheet calculator, don’t worry. 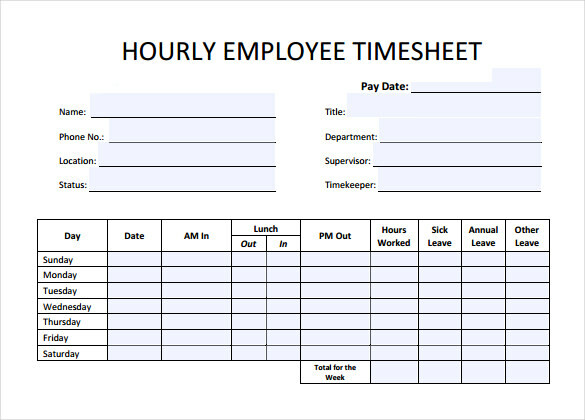 You can find free hourly timesheet calculator template which comprises of all the important segments that will help you keep an eye on the working hours of your employees. And the best part is that you can get all this for free. In case you have hired a consultant on an hourly basis to work for your organization, it is important that you keep an eye on his or her working hours. This would give you a clear idea about how much you need to pay the person at the end of the month. Doing this using a timesheet calculator will surely ease up your work. 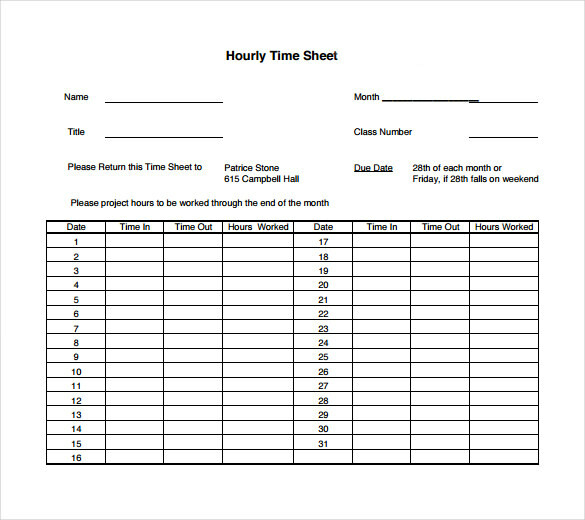 If you don’t know how to design a timesheet calculator, using a consultant hourly timesheet calculator template would be a good idea. It comprises of all the important segments that should be part of such a calculator. All you need to do is download it and add in the details. 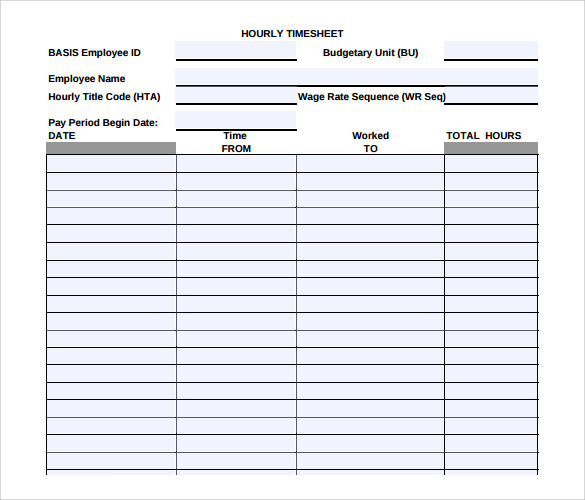 How to use Hourly Timesheet Calculator? Add in time in numerical format rather than time format. Do not forget to include the recess hours and other holidays, as these come in handy when calculating income. However, if there are some paid holidays, it is important to highlight these accordingly. 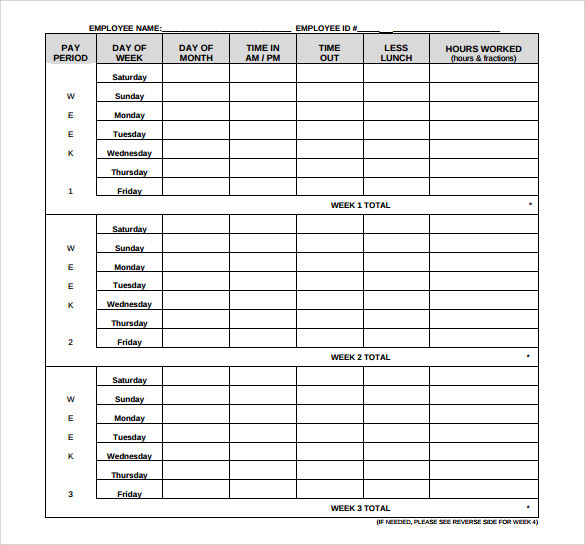 You may also like Employee Timesheet Calculators. 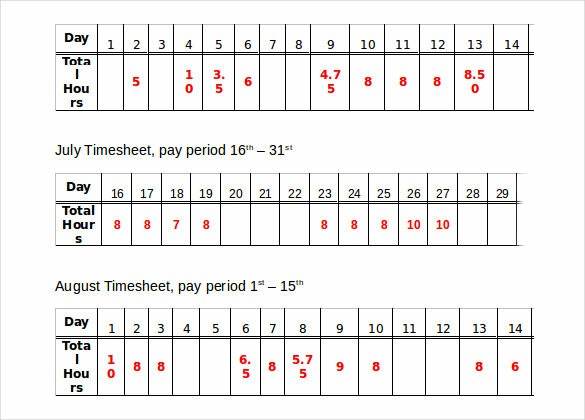 Hourly timesheet calculator templates can definitely help you to keep an eye on your employees and avoid discrepancies in payroll generations. 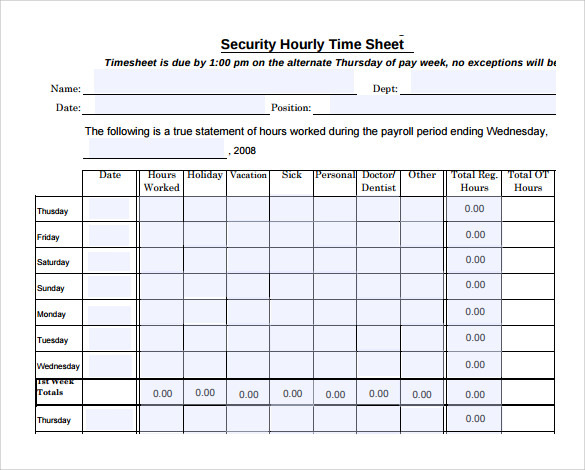 Choose from our wide range of hourly timesheet calculator templates. These can be easily customized and are ready to be printed out. Need us to make some changes to our designs? Let us know your requirement.